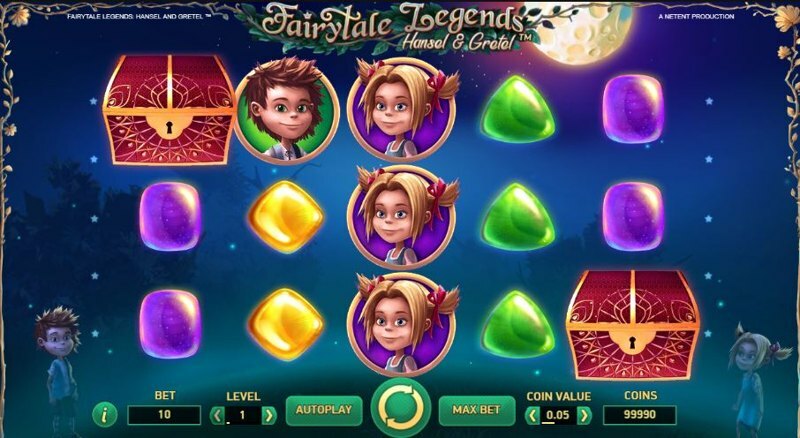 Fairytale Legends: Hansel and Gretel is a new Net Entertainment video slot, and is the second instalment in the “Fairytale Legends” series, with FairyTale Legends: Red Riding Hood becoming a global success, despite being launched just a few months previously. While there are plenty of similarities between the games, Fairytale Legends: Hansel and Gretel offers even better gameplay, graphics, and bonuses, and there’s a whopping SIX features to look forward to! Using 5 reels, and 10-paylines, Fairytale Legends: Hansel and Gretel can be played from just £0.10 a spin, with £200 the maximum stake, and the game supports multiple-devices, meaning those wanting to game from their phones and smart tablet devices can do so, error-free. Graphically, the game is stunning, and you’ll see a background featuring a moonlit scene in the woods; Hansel and Gretel rest at each side of your screen, and help add to the game-dynamic that’s set with the captivating audio and animations. 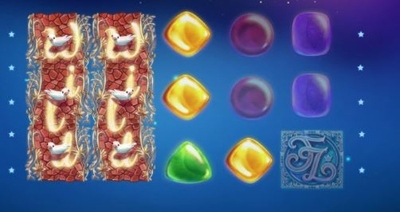 Symbol-wise, you’ll see a variety of icons, including various colours of Sweets (which act as the low-paying symbols), Birds, Hansel, Gretel, as well as the Fairytale Legends logo. The scatter symbols are identical to the ones from FairyTale Legends: Red Riding Hood (blue treasure chests), and there’s also stacked wild symbols that appear on reels two, and four. Wherever you land a full reel of stacked wilds on reels two or four, during the base game, you’ll be awarded a free re-spin. The wild reel sticks in place, and if, on the re-spin you manage to land a stacked wild reel on the other reel, you’ll win another re-spin, with both reels two and four fully-wild. 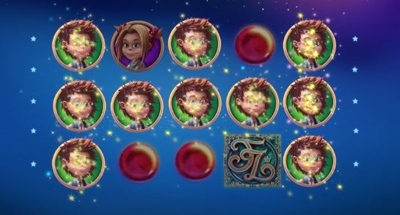 The Fairy Wonder Spin is triggered randomly during the base-game, and anywhere from five, to nine of the high-paying Fairytale Legends logo symbols can appear on the reels. 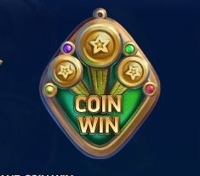 The Fairy Surprise feature is again, randomly triggered (but only on non-winning spins during the base game), and a symbol is picked randomly. Other symbols on the reels then begin to turn into this selected symbol, until you get a winning payline, at which point the feature ends. Again, randomly triggered, the Fairy Wild Feature can make two reels (from reels 1, 2, 3, and 5) completely wild. If the reels are 2 and 4 (or either or), then the wild re-spin is triggered. Just like it ‘says on the tin’, if you pick the coin win, you’ll be awarded a set cash prize of 15X. It’s a big disappointment to get, and thankfully is rare to pick. 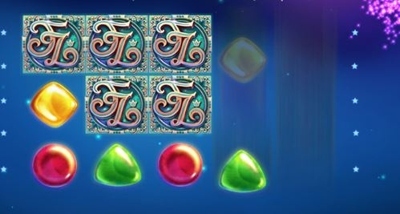 Much like Fairytale Legends: Hansel and Gretel’s predecessor, FairyTale Legends: Red Riding Hood, the free-spins round initially awards you with ten free-spins, with the ability to massively increase this tally as the bonus plays out. 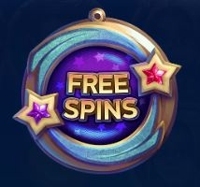 Each time you land one scatter symbol during the bonus, you’ll be awarded two extra spins, with 2 scatter symbols awarding 4, and 3 scatter symbols awarding another ten free-spins. 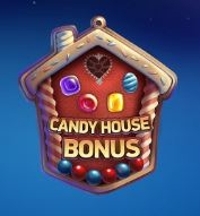 If you pick the Candy House Bonus, you’ll begin by being given the option to choose three items, from a possible selection of 15. Each item awards a certain multiplier, and once you’ve picked all three, you’ll then be faced with the option to either choose one of the three values (they’re hidden), or receive the average of the three. It’s possible to win up to 120X your stake here, so while it’s not the best bonus, it can be relatively profitable.